Happy last day of 2018! 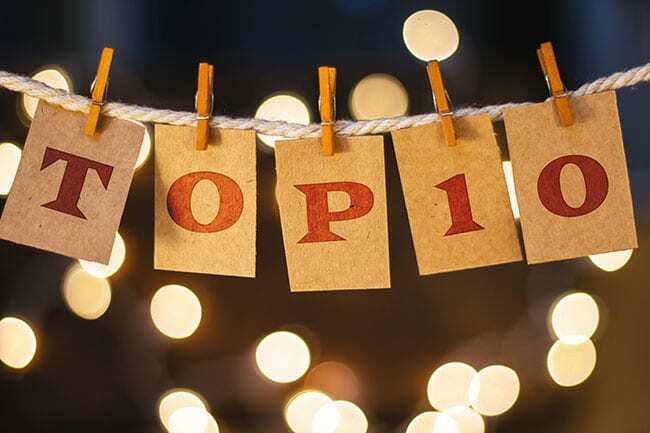 We’re counting down our 10 most popular blog posts from 2018. Enjoy! Maarten Bout, M.A.’18, talks about his master’s thesis research, discussing empathy in fundraising contact reports. With the guidance of Sara Konrath, Ph.D., associate professor of philanthropic studies, Bout developed new insights into the fundraising profession and devised a template contact report that incorporates and illustrates cognitive and emotional empathy. Macy Jackson, a current junior in the bachelor’s degree program, has a passion for fundraising. She’s interned at Gleaners Food Bank of Indiana this fall in their grants department, and looks forward to learning more about fundraising while helping donors carry out their visions in their communities. A partnership between the Community Foundation of Boone County and The Fund Raising School has strengthened the capacity of multiple Boone County nonprofits. Nonprofit staff members and volunteers earned their Certificates in Fund Raising Management, while also forming new relationships with others in the field. Jenny Convey lives and works near Chicago and balances her job at Giving Tree Associates, a nonprofit consulting firm, her volunteer work within the local community, and working on a master’s degree in philanthropic studies. How does she master that balance? When the Dynamic Diversity Initiative caught the eyes of second-year Ph.D. candidates Dana Doan and Tiara Dungy, they decided to apply for an opportunity to conduct implicit bias trainings for staff and faculty in partnership with Peace Learning Center. In this follow-up, learn what they have done since those trainings. What does earning a Ph.D. in philanthropic studies entail? Dungy dives into a typical day for her, which involves a lot of reading, listening, writing, teaching, and analyzing. Current senior Kelsey Harrington has a passion for combining business and philanthropy. Here, she discusses how she balances her majors and her interest in corporate social responsibility as well. You can also read about her further journey in a follow-up article. In February, Michelle Obama visited Indianapolis and shared life lessons with a large crowd at Banker’s Life Fieldhouse. Here, current Women’s Philanthropy Institute interim director Andrea Pactor discusses what Obama’s life stories can teach us about women’s philanthropy. What should a nonprofit do when a donor who gave money becomes “tainted” through words or actions? Institutions such as the University of Louisville, Purdue University, and Ball State University had to tackle this question with Papa John’s founder John Schnatter’s donations. Professor emeritus Leslie Lenkowsky discusses this issue and the historical roots of tainted money. In honor of William Mays and his philanthropic legacy, Dr. Rose Mays and her family generously established the Mays Family Institute on Diverse Philanthropy. This institute seeks to further research and encourage discussion around issues of philanthropy and diversity. What was your favorite blog post? Was it on this list, or a different one? Comment below, and share with us what it was and why!